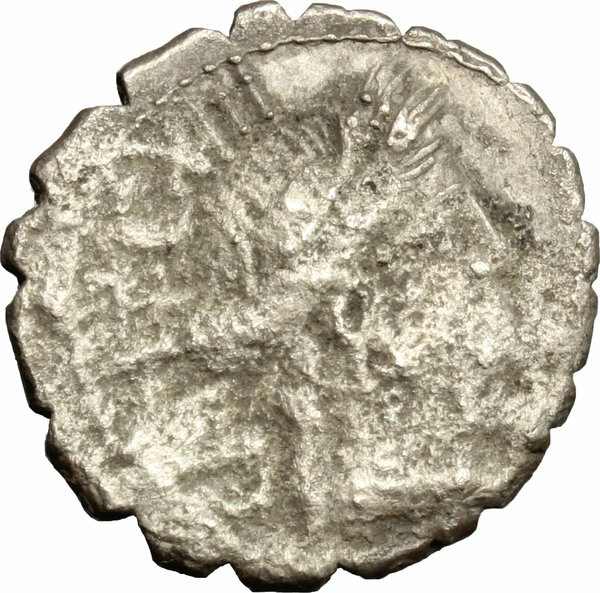 Coins 259 C. Marius C.f. Capito. 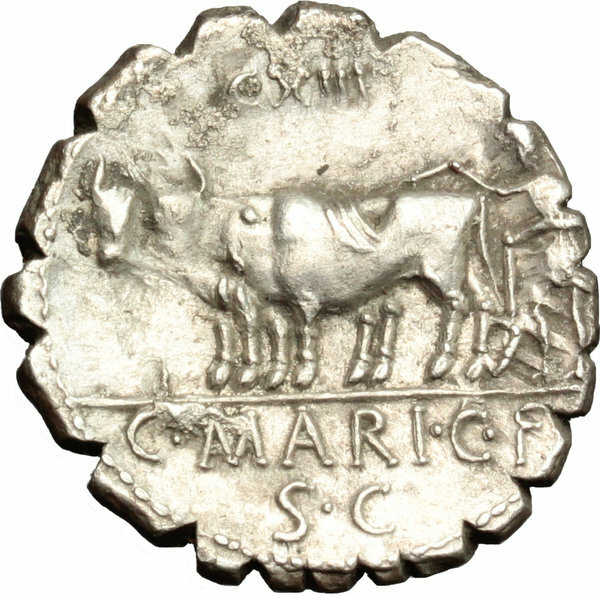 AR Denarius, 81 BC. D/ Head of Ceres right. R/ Ploughman with yoke of oxen left, above, control mark. Cr. 378/1. AR. g. 4.09 mm. 19.00 About VF/F.